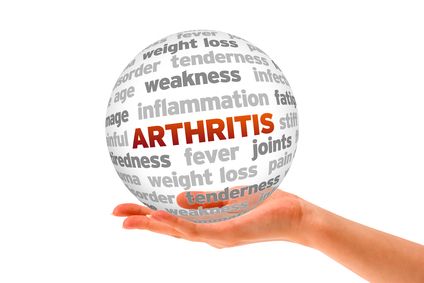 Did you know that there are multiple different forms of arthritis, with a wide variety of symptoms and presentations? The most common of these is Osteoarthritis. 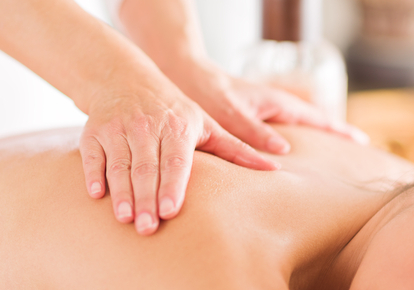 “Osteo” means bone; “Arthro” relates to joints; and “-itis” refers to inflammation. By definition Osteoarthritis is the degradation of a joint, breakdown of the cartilage, and the inflammation that accompanies it. Another name for Osteoarthritis is Degenerative Joint Disease (DJD). Individuals with chronic disease such as arthritis may live normal and productive lives with the help of disease management strategies. The most important strategies for preventing and managing arthritis are proper nutrition, regular exercise, relaxation and stress reduction, medical management, and regular health and medical screenings. Think about the statement “I’m going on a diet”. When we say we’re going on a diet we’re implying that eventually we’ll come off the diet and the changes we’re making are only temporary. We might “white knuckle” it for a few weeks or months but eventually we come off the diet because the changes are too extreme. Most of us are looking for a quick fix so we often consider an effective diet to be one that takes off a lot of weight quickly. When we gain weight back after going off a diet we don’t typically say “the diet didn’t work”, instead we blame ourselves for lacking will power. We need to redefine a successful weight management program as one that doesn’t depend on will power and instead uses realistic lifestyle change to take off weight gradually and keep it off forever. Are you ready to seek expert advice to develop a realistic weight loss plan? 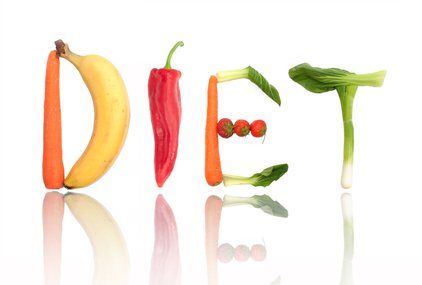 Click here to search MFN for Nutritionists/Dietitians who specialize in weight management. They can help you develop a personalized plan that works for you and your unique lifestyle. Did you know if a product contains less than half a gram of trans fat per serving, the manufacturer is not required to list it on the label? This means a product with 0.49 grams of trans fat can read no trans fat on the label. As a result, if you consume a few servings of a product like this, you could consume over a gram of trans fat without knowing it! According to the American Heart Association you should limit your daily consumption of trans fat to less than 1 percent of your calories. This means if you consume 2,000 calories per day, no more than 20 calories or 2 grams of fat should come from trans fat. So, how can you tell if a product contains trans fat? Look for “hydrogenated” or “partially hydrogenated” oil in the ingredient label because trans fat is created during the hydrogenation process. Restaurants and food manufacturers love to use these hydrogenated oils because they taste good, are inexpensive and help preserve food. Trans fat is often found in fried foods and bakery items such as pie crust, pizza dough, cookies, cake, French fries, crackers, margarine, and shortening and a small amount of trans fat occurs naturally in animal foods such as lamb, butterfat, and beef. The best way to avoid trans fat is to eat a well balanced diet that is mostly plant-based. Don’t forget to read labels and limit or avoid products that contain hydrogenated or partially hydrogenated oils because this means they contain trans fat! Increase your intake of fiber-rich foods. Eat at least 5 fruits and vegetables each day, choose half of your grains as whole grain, and choose beans and lentils a few times per week. When choosing a whole grain cereal, consider choosing oatmeal or Cheerios for the cholesterol-lower benefit of soluble fiber. Increase your intake of plant stanols and sterols. Plant stanols and sterols may help lower blood cholesterol by blocking the absorption of cholesterol in the intestines. Small amounts of plant stanols and sterols are founds in plant foods, but to have a cholesterol-lowering effect foods fortified with higher amounts may need to be consumed. Some brands of fruit juice, cereal, bread, low fat milk, low fat yogurt, and margarine (Benecol and Take Control) have been fortified with plant stanols and sterols. Choose lean meats such as skinless turkey and chicken, top sirloin, 7% fat ground beef, round steak, pork loin or loin chops and trim fat from meats. Eat smaller portions of meats. Limit your portions to 3 ounces for lunch or dinner. Three ounces is equal to the size of a deck of cards. Choose fatty, cold water fish (mackerel, herring, salmon, halibut or tuna) two times per week for heart healthy omega-3 fatty acids. If you don’t like fish, you can find omega-3’s in canola oil, flaxseed, walnuts, leafy green vegetables, or enriched eggs or bread. Eat a meatless meal for lunch or dinner at least 1-2 times per week. Try pasta primavera or beans and rice. Limit egg yolks to 4 per week or have egg whites or egg substitutes (e.g. Egg Beaters). Select non fat or low fat dairy foods such as non fat or 1% milk and non fat or low fat cheese, yogurt, or cottage cheese. Choose fat free or low fat condiments or use less of the regular version (salad dressing, mayonnaise, sour cream, cream cheese, etc.). Choose olive oil or canola oil and use it in small amounts. Use tub or spray margarine and avoid stick margarine or butter. Choose a low fat cooking method. Bake, broil, steam, barbecue and grill foods instead of frying. Use cooking spray instead of greasing the pan. Modify recipes to reduce fat intake. You can substitute 2 egg whites for 1 egg in most recipes. If you are making baked goods, replace 1/3 of the fat in the recipe with applesauce. If you are making 3-cheese lasagna, substitute one or two cheese with reduced fat versions. Don’t go shopping when you’re hungry! Over the past few decades, high fructose corn syrup (HFCS) has become a popular ingredient in a variety of foods and beverages. Since 1970, there has been a 1000% increase in the consumption of HFCS. Many believe that this increase has contributed to the rising obesity rates. This has lead to a multitude of negative feelings and controversy surrounding HFCS and the association of HFCS with obesity, diabetes, and other health problems. Recently, many commercials have been put out by the Corn Refiners Association in HFCS’s defense. These commercials claim that HFCS doesn’t have any artificial ingredients and is safe in moderation. So what does this really mean? HFCS doesn’t technically contain any artificial ingredients, but it is processed with glutaraldehyde, a widely controversial substance still under investigation for potentially harmful effects in the body. HFCS, like other added sugars, appears to be okay in moderation, but since it is found in numerous products the amount can quickly add up. As a result, it is important to read the ingredients of the food you are eating and look for HFCS. Completely excluding HFCS is likely more of a hassle than a benefit. Instead, limit the foods that contain HFCS and avoid the foods that list HFCS as one of the first few ingredients. Keep in mind that one of the best way to decrease your HFCS and added sugar intake is to consume a diet high in plant foods such as whole grains, fruits, and vegetables and to keep sweets and desserts to a minimum. According to the Centers for Disease Control and Prevention physical activity is anything that gets your body moving. According to the 2008 Physical Activity Guidelines for Americans, you need to do two types of physical activity each week to improve your health – aerobic and muscle strengthening. OR An equivalent mix of moderate- and vigorous-intensity and muscle-strengthening activities on 2 or more days a week that work all major muscle groups (legs, hips, back, abdomen, chest, shoulders, and arms). Lifting weights, working with resistance bands, doing exercises that use your body weight for resistance (i.e. push ups, pull ups), heavy gardening (i.e., digging, shoveling), yoga.